Veracity Ladies Jacket athlete approved, the Ariat Veracity H2O Jacket is one stunning performer. It resists rain, keeps the warmth in without being bulky and stretches for ease of movement. Cold Series technology keeps body core warm. Cool Climate Insulation™ provides optimal lightweight comfort and warmth. Windproof, waterproof and seam-sealed. Surface fabric repels water, but allows body vapour to escape. EcoDry™ finish offers earth-friendly protection against the elements. 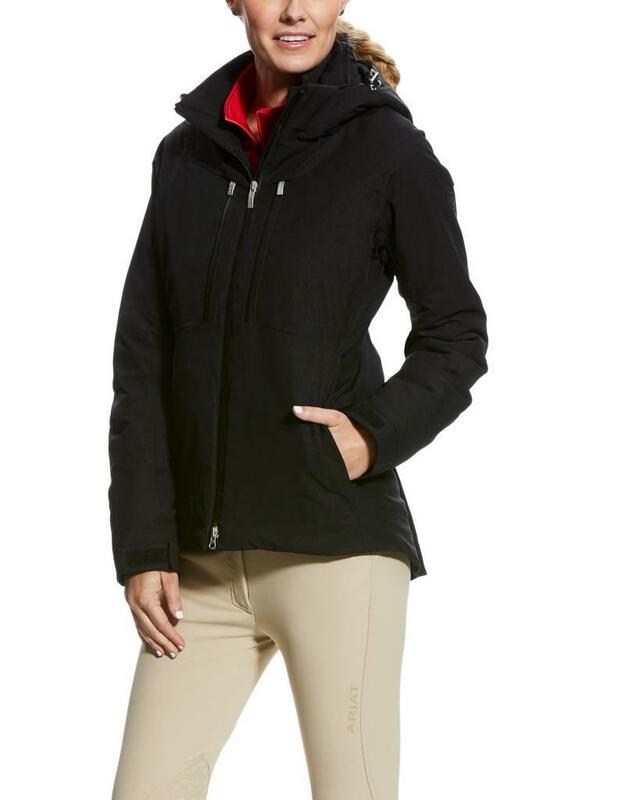 Fully lined with a removeable hood and saddle vents make this a superb equestrian jacket. Performance stretch throughout with zippered hand and chest pockets. Two way zipper too.